Looking for a car that is as fun to drive as it is fuel-efficient? 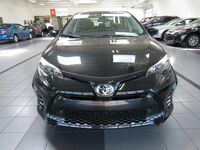 If so, then leasing the 2018 Toyota Corolla is a great option for you. 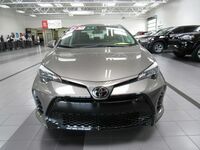 The 2018 Toyota Corolla offers next-level handling combined with the technology features that Toyota is known for. 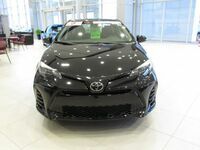 We have a special 2018 Corolla lease option for you at Le Mieux Toyota in Green Bay, WI today. The 2018 Corolla is a popular Toyota model thanks to its combination of fuel-efficiency, value and fun driving features. Experience all the upgrades that the 2018 Toyota Corolla has to offer on a test drive at Le Mieux Toyota today. 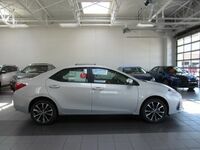 The 2018 Toyota Corolla is a fantastic option for car shoppers that want to save on fuel without sacrificing tech options or safety features. To name one advantage the 2018 Corolla comes with, it was named an IIHS Top Safety Pick to give you peace of mind. 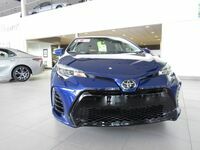 So if you need a car that can handle the rigors of a road trip while saving you money, the 2018 Corolla will meet expectations with 28 MPG city, 36 MPG highway in its LE trim. In addition, the LE trim of the 2018 Corolla comes standard with daytime running lights, Entune audio, and much more! If you're ready to save more on a car lease that will also save you plenty at the pump, come visit us at Le Mieux Toyota in Green Bay, WI today to see our selection of the 2018 Toyota Corolla. 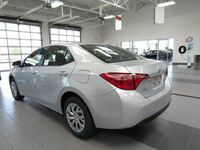 We offer enticing lease options and can offer you a fair price on your trade-in vehicle as well.